At Custom Cutters, when we make a site visit to offer advice, recommendations, provide an estimate or carry out a tree survey, a hazard assessment is always made on the trees we are viewing. 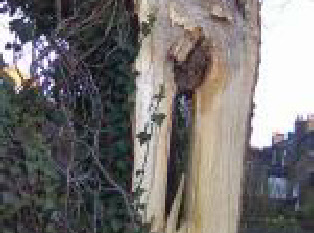 The recognition and assessment of defects is an essential part of arboriculture and this is the first service we aim to deliver when viewing a tree. Our fully qualified arboriculturists have a full understanding of hazards and defects and this allows us to provide suitable recommendations for the management of your trees for the long term. Hazard assessment is important to identify the following common problems associated with trees. Such hazards need to be identified for reasons of health and safety, the management of duty of care and for the health of the tree itself.